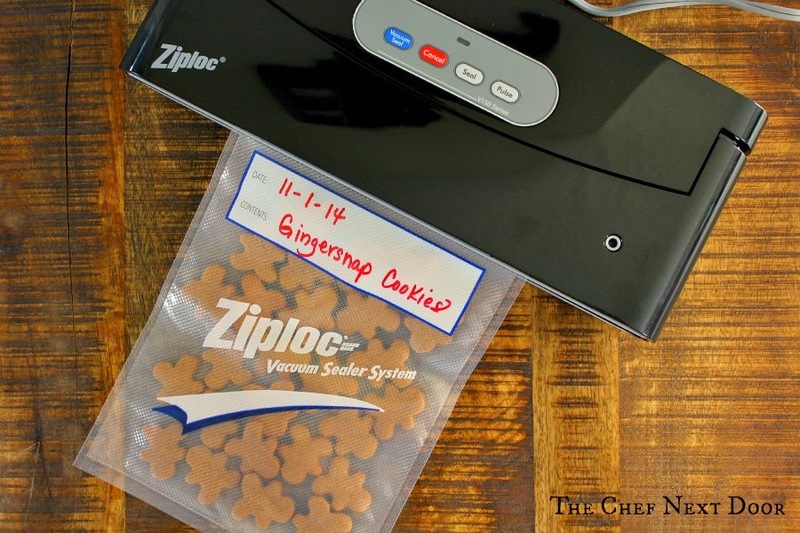 I am participating in a Vibrant Influencer Network campaign for the Ziploc® Brand Vacuum Sealer System. I am receiving a fee for posting, however, as always the opinions expressed in this post are my own. I am in no way affiliated with the Ziploc Vacuum Sealer System team and do not earn a commission or percent of sales. I was recently sent the Ziploc® Brand Vacuum Sealer System to review as part of a campaign with the Vibrant Influencer Network. I received the machine itself along with a variety of vacuum sealing bags, rolls and containers. I was like a little kid on Christmas morning opening up that box of goodies! I couldn't wait to try out the system and see for myself how amazing it was. I've been wanting one for years! You see, I love to buy things in bulk. From meats to veggies and fruits and even nuts, I knew this would a valuable tool in my kitchen. 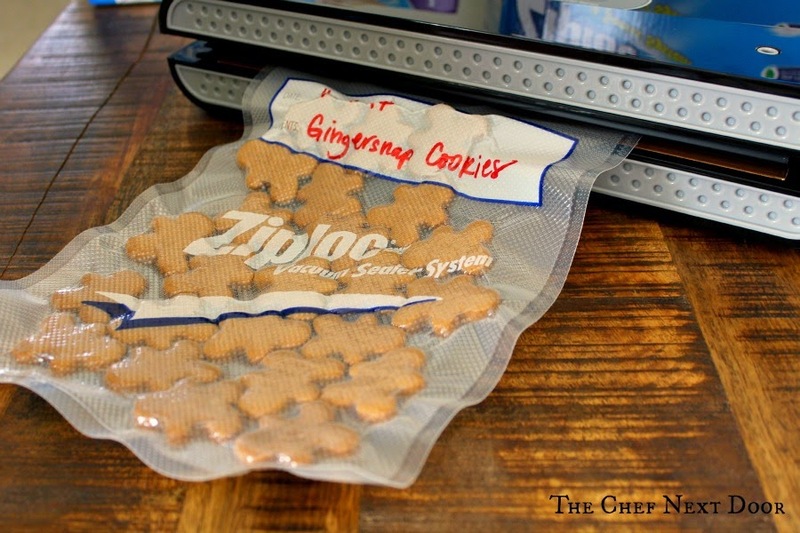 The Ziploc® Brand Vacuum Sealer System is specially designed to lock in freshness and preserve food. It seals in the flavor too! The other great thing about vacuum sealing is that it saves space in your refrigerator and freezer. It basically flattens your bags which makes them much easier to stack. I'll be using my Ziploc® Brand Vacuum Sealer System for many of the items I mentioned above, but during this time of the year one thing popped into my mind right away. Holiday baking! I bake so many cookies and other treats during the holiday season and sometimes I find it hard to keep them fresh. My mom and I have always spent one weekend doing all of our baking, then we package all the treats up and freeze them until it's time to give them away. This sealer system just made my life a whole lot easier! VOILA! My little cookies are vacuum sealed nice and tight and ready to go in the freezer. When I'm ready to give them out as gifts I'll take them out to defrost, package them up in pretty boxes or tins and I'm done. No rushing around right before a holiday party or get together to bake, I'm all set and ready to go. And the cookies taste just as fresh today as the day I first baked them. I'm really enjoying the Ziploc® Brand Vacuum Sealer System and can't wait to use it for just about everything in my kitchen. I'm looking forward to cutting down on waste and no longer throwing my money away! Are you ready to cut down on waste and save money too? 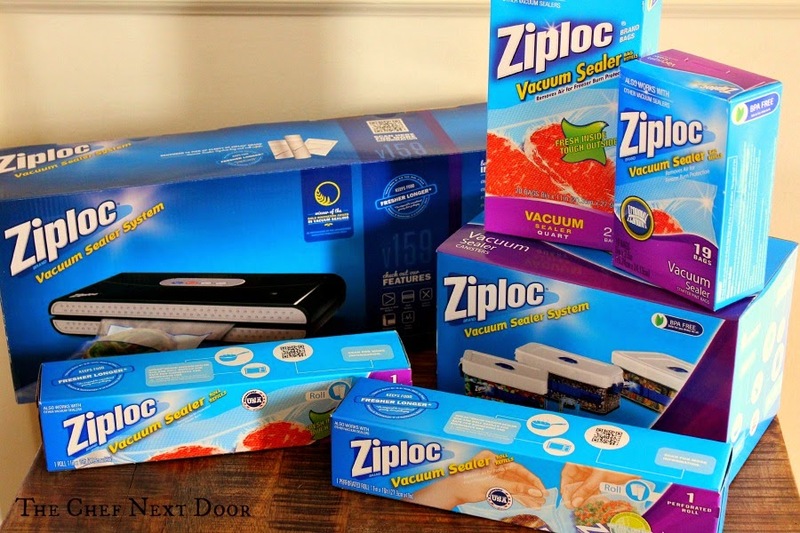 Ziploc is offering a coupon on the Ziploc® Brand Vacuum Sealer System to my readers! Head over to their website for the coupon and to learn more about their sealer systems!